Magento2 Product Question and Answers extension is an effective solution that enables your potential customers to ask questions before making the purchase. 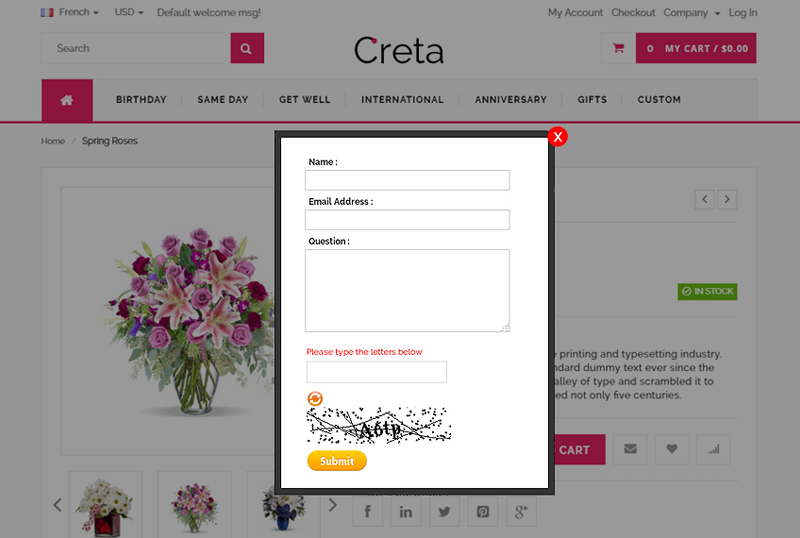 Potential customers can either read "Answers" section to find more details or raise a new question for the administrator. Magento2 QA extension is a powerful tool to build strong bond with potential customers that allows you to know their concerns, questions. Sometimes your customers are just a step away from purchasing, yet they lack some information about a product or want to make sure they have selected the right one. 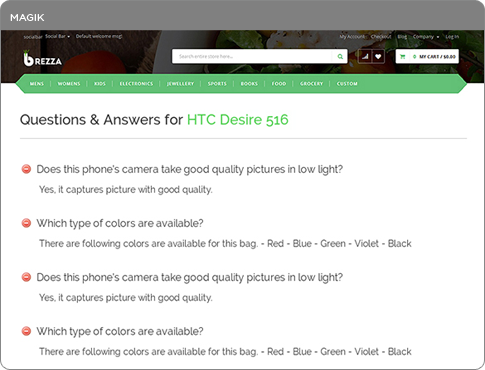 Help your customers and increase your sales volume with Magento Question and Answer extension. 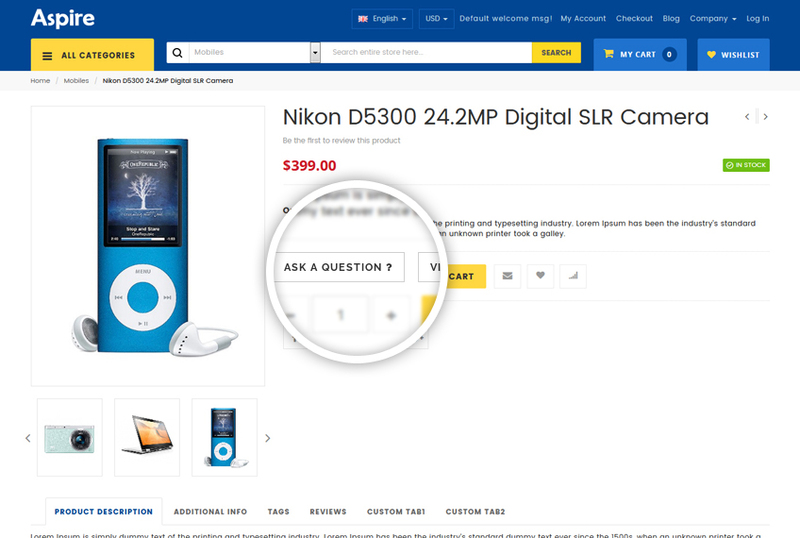 Answering question is by itself a good way to build the customer relationship, but displaying answers on the product page go one step further. This will ensure that store has an engaged customer base - which increases your credibility. 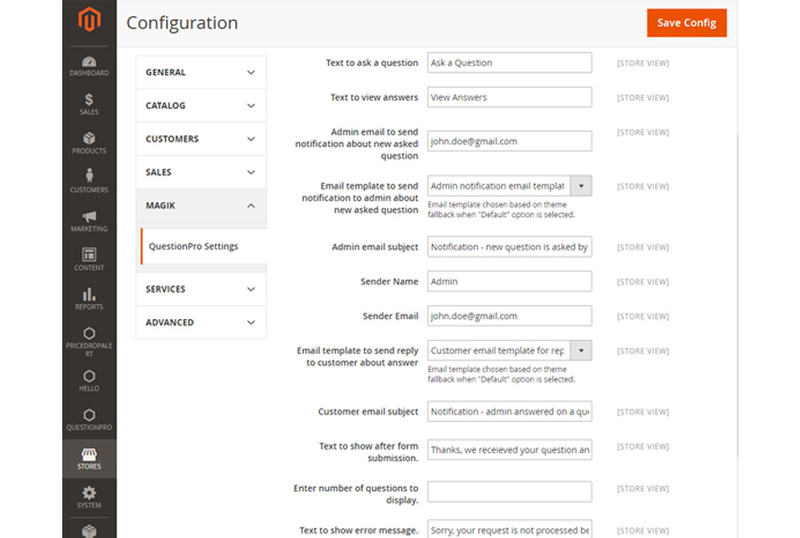 Add "Ask a Question" Feature - With Magento Product Questions extension, you can add an easy to use "Ask a Question" feature to your product pages where questions can be asked by visitors when they are reviewing your product and you can answer them instantly / quickly, to address their questions. 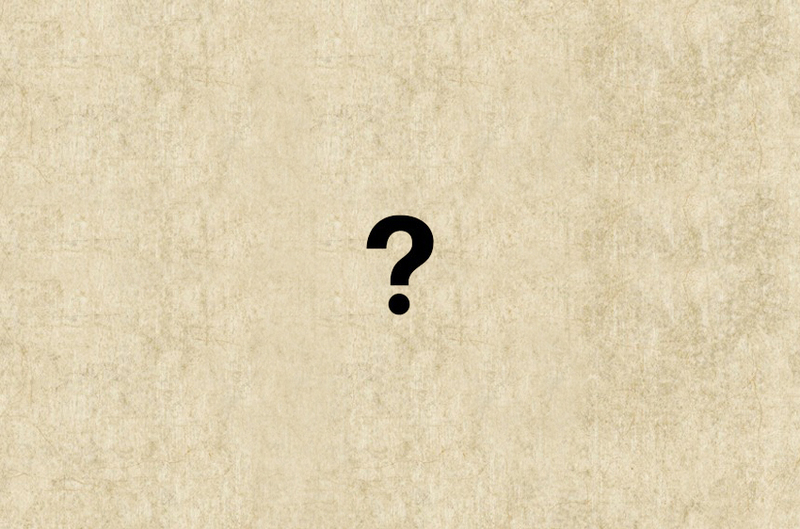 This inevitably leads to increase in conversions and sales. Improve SEO - You can naturally improve the search engine rankings of your product pages based on the highly relevant content that is generated by magento question and answer extension on the specific product pages. Increase Customer Satisfaction - As visitors get answers to questions right from your product page, it increases the overall customer satisfaction with your store and service and may lead to sales as well as word-of-mouth for your Magento store. Need installation, customization or assistance for this Magento extension from our team - send us a request at [email protected]. Can I send an email to my customer soon after I answer their question? 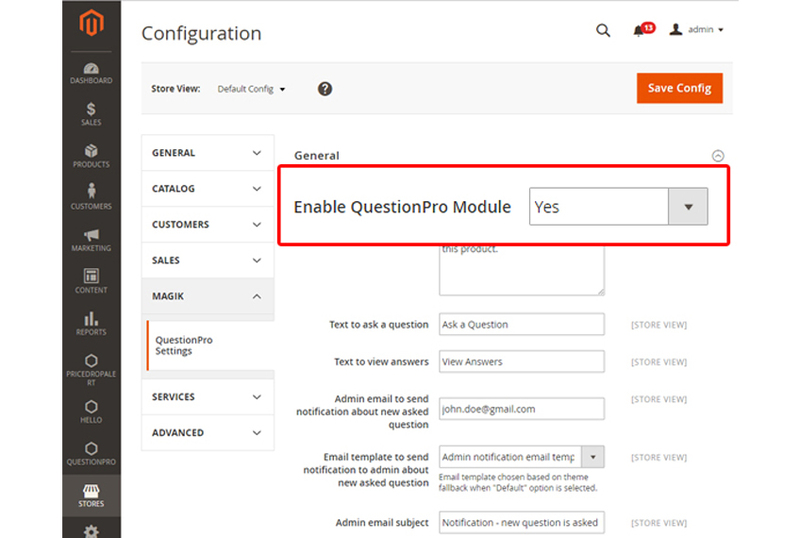 Yes, using Magento question pro extension customers are automatically notified that their question has been answered. 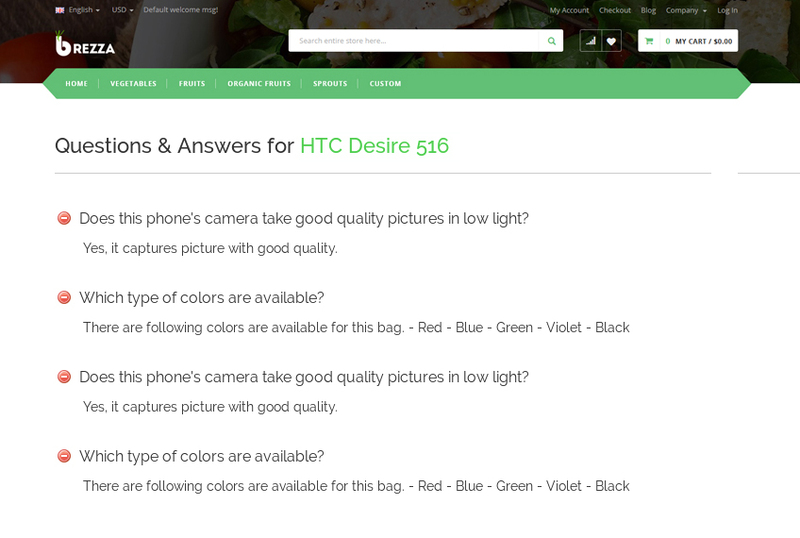 Can I display question & answer on the product page instead of one page apart? 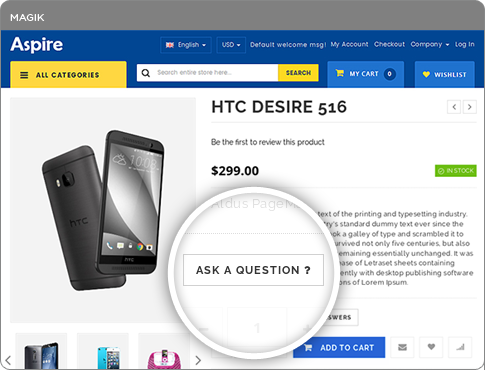 Current version of magento customer questions extension will add link to a page where particular product question & answeres are listed. But you can change it as per your need by customizing the extension. Is it possible to show count of question & answer on product page? No, Magento2 Question & Answer Extension will not show any count on product page. Can I send confirmation email to customer when he has posted question? 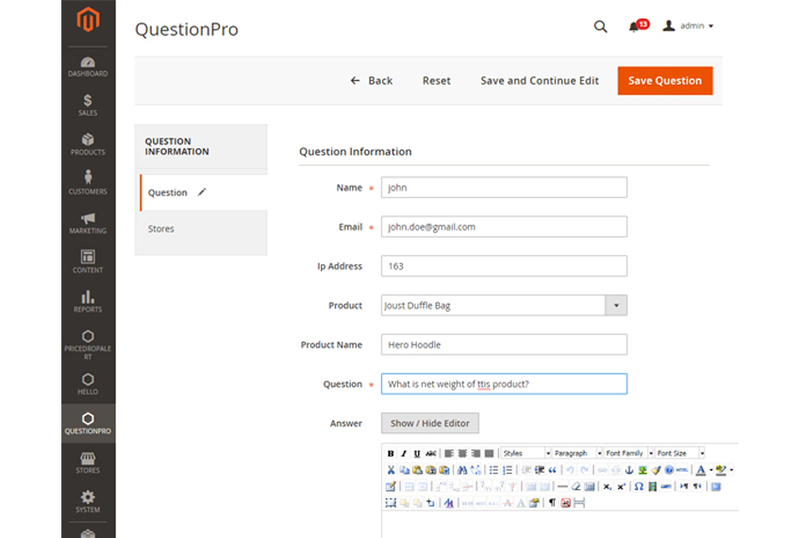 Current version of Magento QuestionsPro extension does not have this feature. Can I customize the look and feel of my questionspro email template?